Our expert technicians are completely dedicated to providing all of our customers with excellent garage door-related services. We can handle every type of task you'll need us to complete. Check out some of our latest projects below. Customer Issue: Garage door opener won't run and the door could only be opened and closed manually, which was incredibly inconvenient. Our Solution: To begin, our team conducted thorough troubleshooting of the chain drive garage door opener and all of its mechanical and electrical parts. It didn't take long to figure out that the chain had a few cracked links that were forcing it to get stuck. Replacing the broken chain with a new one brought the opener back into a functional working state. 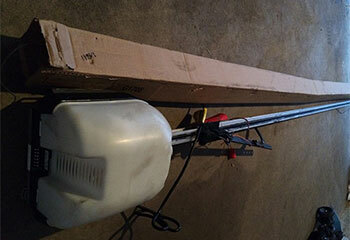 Customer Issue: The garage door made noises when Mrs. Durand tried to open it, but it would not open. 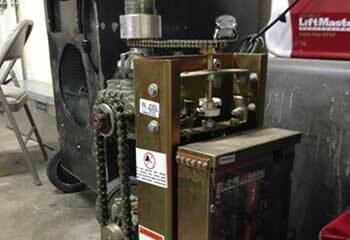 Our Solution: Our team began inspecting the whole system, starting from the opener. When we found that the chain broke and came off of the door assembly, we replaced it with a new one, which we then adjusted and lubricated. The door opened like a charm after that. 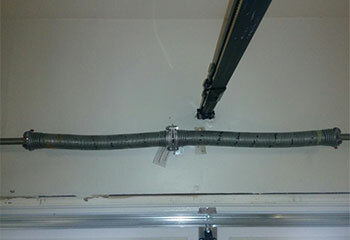 Our Solution: This customer's torsion spring broke and he could not open his door and get his car out of his garage. We quickly replaced the damaged spring and made sure the new one was perfectly adjusted and that the door was able to work again. 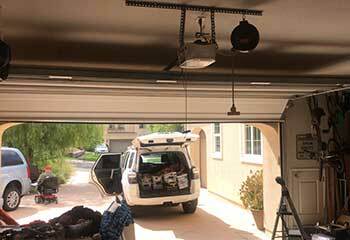 Our Solution: After asking this customer a few questions and understanding what he was looking to get out of his garage door opener, we recommended Marantec's Synergy 380 mode, which was powerful enough to manage his wind-loaded doors. Since he'd told us there'd been an increase in power outages in his area, we also recommended he get the optional back battery system, which he gladly agreed to. 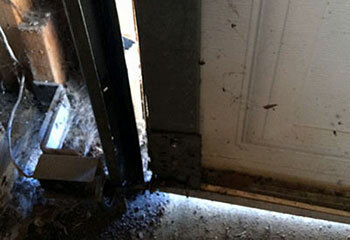 Our Solution: We arrived at this customer's home and performed a thorough examination of her entire system. We quickly discovered that the issue lied with a couple of broken rollers, which we then quickly replaced with more durable ones and made sure that the door was fully operational again.